Should We Manage for Rare Species or Species Diversity? Land managers constantly make difficult decisions without really knowing the long-term consequences of their choices. Balancing the sometimes conflicting needs of rare plants like Canada milkvetch (Astragalus canadensis), pollinators, and many other components of prairie communities can be a major challenge. For those of you who aren’t ecologists, here are some important vocabulary terms you’ll need to know for this post. 1. Conservative species – plants or animals primarily restricted to “intact” or “high-quality” natural areas, as opposed to species that commonly occur in degraded habitats. 3. Species diversity – a kind of modified species richness that also takes into account the evenness, or relative abundance, of each species. When one site has a few dominant species and lots of uncommon ones, it is less diverse than another site with the same total number of species but with more evenly distributed numbers of individuals. Imagine this situation: You’re put in charge of managing a tallgrass prairie with thriving populations of several rare plant species. The prairie is located in a highly fragmented landscape dominated by rowcrop agriculture. 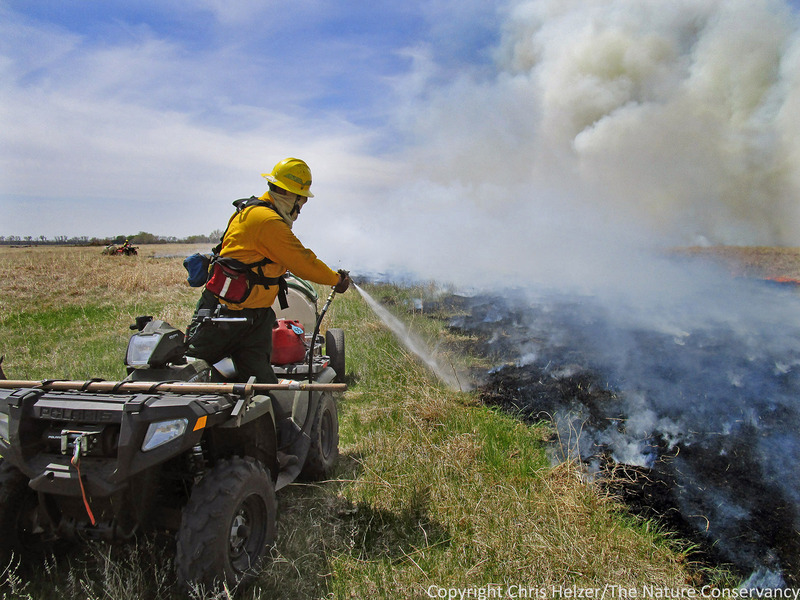 The prairie has been managed with frequent spring burning for many years, and the populations of those rare plants has been pretty stable for at least the last couple of decades. As you take over, the previous manager tells you she’d recently been considering management changes that might increase overall plant and animal diversity but would likely reduce the population sizes of some rare plant species. You have to decide whether to stick with the existing management regime or try something different. What would you do? Culver’s root (Veronicastrum virginicum) is a conservative plant species found in a small subset of today’s tallgrass prairies. It would be perfectly rational and defensible to stick with the strategy that has sustained healthy populations of rare plants for a long time. Because those plants aren’t found at many other sites, prioritizing them in this prairie makes good sense. However, before you lock in that choice, let’s consider some other information. 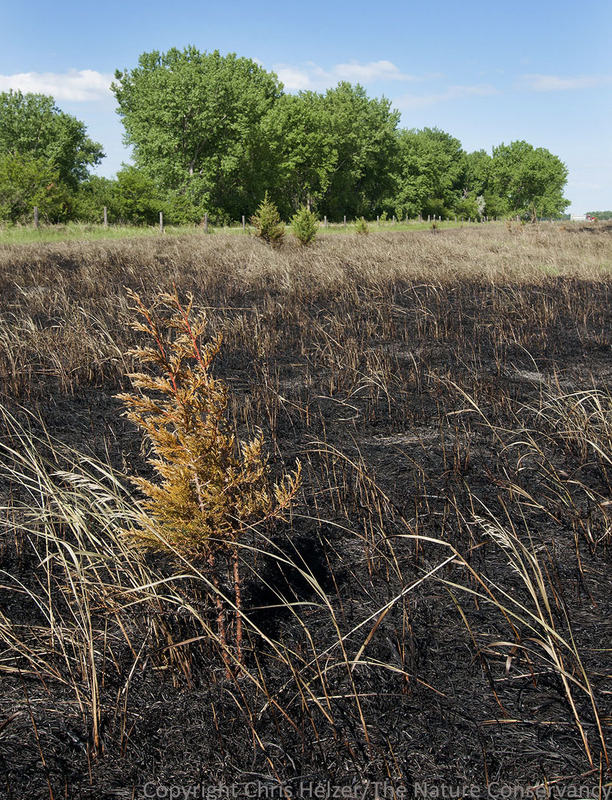 First, there is often an assumption that an abundance of rare plants is an indication that the rest of the prairie community is also intact and healthy. While that assumption seems logical, it’s not always the case. A good example of this comes from an Illinois study by Ron Panzer and Mark Schwartz. Their research in the Chicago region showed that neither the number of conservative plant species or rare plant species predicted the number of conservative or rare insect species at a site. Instead, Panzer and Schwartz concluded that overall plant species richness was more important for insect conservation. Plant diversity also helps support healthy populations of pollinators and herbivores (invertebrate and vertebrate) by ensuring a consistent supply of food throughout the year. A wide variety of plant species allows pollinators and herbivores to find high quality food at all times, even though each plant provides those resources at different times of the season. For this and other reasons, increasing plant species richness can increase both the abundance and diversity of animals, especially invertebrates. In addition, managing for a variety of vegetation structure types (including a wide range of both plant stature and density) can also help support more animal diversity, including birds, mammals, reptiles, and insects. Grazing can decrease the size of rare plant populations, especially in comparison to sites under repetitive haying or burning management. However, carefully planned grazing can also increase plant diversity and provide more varied habitat structure for wildlife and invertebrates. Every species of plant and animal plays a certain role within the prairie community. High species richness provides redundancy of function and helps ensure that if one species disappears or can’t fill its role, others can cover for it. That contributes to ecological resilience – the ability of an ecological community to respond to stress without losing its integrity. Ecological resilience may be the most important attribute for any natural system, especially in the face of rapid climate change, continuing loss and degradation of habitat, encroaching invasive species and other threats. Aside from the benefits of managing for species richness, a strict management focus on the needs of a few species can put others at risk. 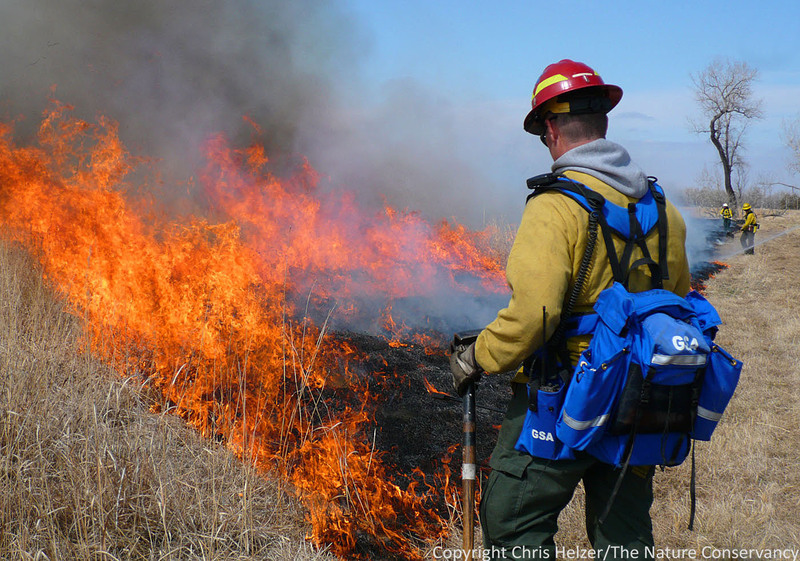 The use of prescribed fire, for example, provides a competitive edge to some plant species, but has negative impacts on other plants, as well as on some animals. 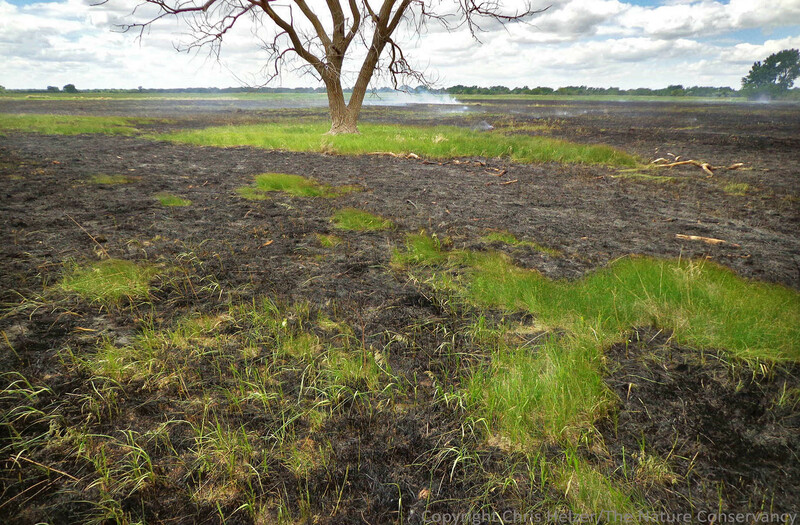 There have been vigorous arguments between advocates for frequent burning and people concerned about rare butterflies and other insects, as well as reptiles and other animals that can be extremely vulnerable to prairie fires. Repeated intensive grazing by cattle or bison is another management strategy that favors some plant and animal species, but can negatively impact many others, especially without adequate rest periods between grazing bouts. Management that consistently provides favorable conditions for a few species at the expense of others may eventually eliminate some species from a prairie altogether, or at least reduce their ability to effectively contribute to ecosystem functioning. If those losses lead to decreased ecological resilience, the resulting impacts may end up negatively affecting the same species a site manager is trying to promote. Regal fritillary butterflies are very sensitive to fire, and can be eliminated from isolated prairies if the entire site is burned at an inopportune time. However, populations can also thrive in large prairies managed with a combination of fire and grazing, as long as sufficient unburned areas are available, and many of their favorite nectar plants (like this Verbena stricta) are common, or even weedy. So, what’s the right path? Should we prioritize management for rare or conservative species, assuming that other species don’t need as much help? Or should we focus on species diversity and ecological resilience because we need the strongest possible natural communities in today’s challenging environment? How should scale (size of prairie) influence decisions? There are plenty of potential benefits and risks associated with each path, and I’m not here to tell anyone which they should choose. In most cases, my own tendency is to focus on diversity and resilience, but I completely understand why managers would go the other way, and I think every situation needs to be evaluated independently. For example, if a species is teetering on the brink of extinction and we need to keep it alive while we create more habitat elsewhere, I’m perfectly fine with prioritizing management to favor that species. In other cases, I worry that we’re too sometimes unwilling to manage prairies in ways that promote changes in plant composition. Years of repetitive management (especially frequent haying or burning) create conditions under which plant communities seem very stable. However, that stability may be a response to consistent management rather than an intrinsic quality. Allowing plant populations, even of rare species, to fluctuate in size, or even persist at a lower abundance than we’re used to is not the same as driving those species to extinction. If rare species survive in smaller populations but the surrounding community is more resilient, that may be a win. Having said that, reducing the size of rare species’ populations can make them more vulnerable to local extinction, and I don’t take that kind of risk lightly. These are challenging issues. This bottle gentian plant (Gentiana andrewsii) is an extremely conservative plant, and was growing in a hayed meadow in the Nebraska Sandhills where management conditions are very stable from year to year. The hard truth is that we don’t yet understand enough about ecological systems to make these kinds of decisions confidently. I understand the impulse to manage conservatively, sticking with what seems to have been working for a long time – especially in small and isolated prairies. At the same time, I also think we need to build as much diversity and resilience in our prairies as we can – focusing on both plants and animals – especially in landscapes where we don’t have many left. I’m glad managers are experimenting lots of different strategies, but we should all take responsibility for collecting data that help us evaluate our management, and keep open minds as we share what we learn with each other. None of this is easy, but it is certainly important.